At L.T. Begnal Motor Company, we're your premier destination for all things related to the Chrysler, Dodge, Jeep, FIAT, and RAM brands! We want to make your new vehicle purchasing or leasing experience easier than any other experience you've had in the past. What's more, we're also dedicated to providing a hassle-free automotive financing process, not to mention a service and repair center than all of Kingston - and beyond - can trust. But one of our most proud accomplishments is our new inventory; among our selection of new vehicles, you'll find just the right new (or used) vehicle! Why can we say that with such aplomb? Because here at L.T. Begnal Motor company, we make sure to carry a selection of new vehicles that we know our customers love - take, for instance, the new RAM 2500. This capable, versatile, heavy-duty pickup is up to most any tough task, and also can be equipped with all the latest technologies and features that are in high-demand in our area. If you're on the hunt for a pickup with extra-capable performance, then you'll love the RAM 2500. This workhorse comes standard with a gutsy 5.7-liter V8 HEMI® engine making a potent 383-horsepower. Things only go up from there. A compressed natural gas V8 HEMI® is available, in case you're a fan of alternative fuels. A larger 6.4-liter V8 HEMI® engine is also an option. 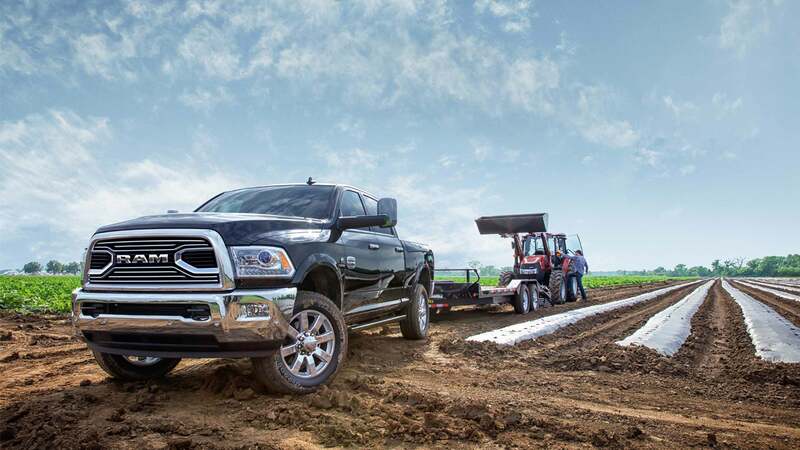 But, perhaps the most powerful and durable of them all is a 6.7-liter CUMMINS® diesel that maximizes this RAM models' torque, not to mention its capability. Speaking of capability, the RAM 2500 features plenty of it; this pickup is perfect for the prospective buyer or lessee who's looking for more than the average light-duty pickup can provide, without going over-the-top. 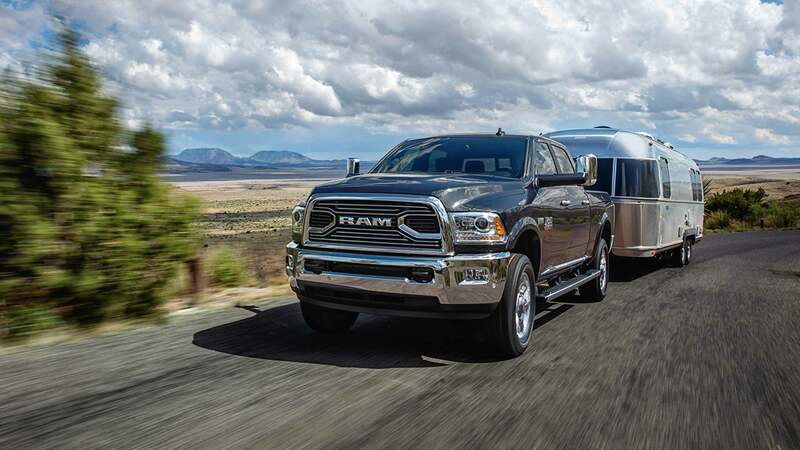 The RAM 2500 is up to most any task, thanks to its generous towing capacity - about 18,000 pounds - and its also-generous max payload of just over 3,000 pounds. 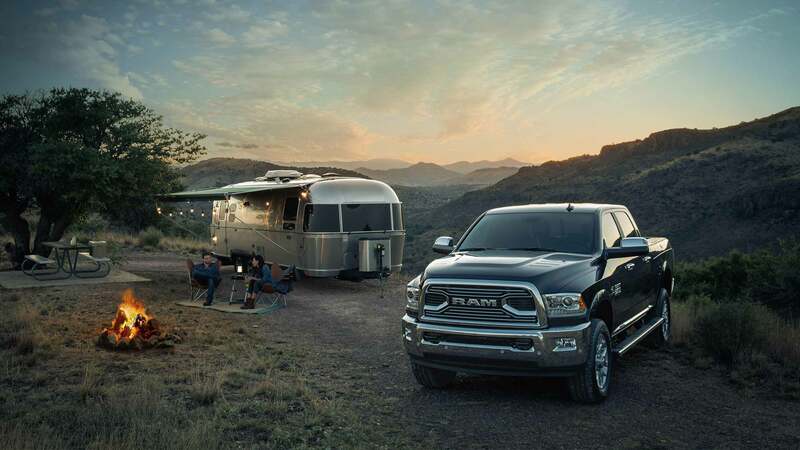 Quantities aside, you'll love the quality and ingeniousness of the space in the RAM 2500. Favorite features of ours include plenty of built-in-storage inside the cabin, plus multiple bed and cab options - not to mention the innovative RamBox® cargo management system. Though the RAM 2500 might be a utility vehicle capable of carrying huge amounts of equipment, debris, and machinery and trailering oversize loads, this RAM pickup also knows how to keep the customer satisfied, thanks to tons of standard and available infotainment and technology. 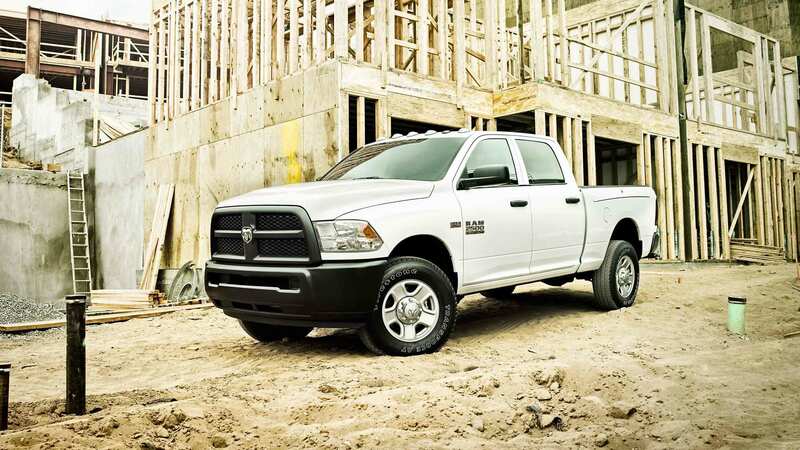 In fact, this RAM truck provides the largest-in-class* available 8.4-inch touchscreen. It also offers a Uconnect® 4C NAV system with SiriusXM Guardian™, HD Radio™ Apple CarPlay® and Android Auto™, and much more! *Class based on all full-size pickups. *All SiriusXM Guardian™-equipped vehicles come with a 12-month trial effective on the date of purchase or lease of a new vehicle. Enrollment in the trial is required to receive service. Upon expiration of the trial period, purchase of a subscription is required to continue SiriusXM Guardian. SiriusXM Guardian is available only on equipped vehicles purchased within the United States and Puerto Rico. Services can only be used where cellular coverage is available. See Uconnect® and SiriusXM Guardian Terms of Service for complete service limitations. Trim Models: There's One For Everyone! Here at L.T. Begnal Motor Company, we could explore the many benefits of leasing or buying a new RAM 2500 over and above the competition for ages on end. We could tell you more about this pickup's amazing luxury amenities, or its advanced engineering, or its safety features, or even its many available colors and interior and exterior options. The truth is, though, we feel that there is no better way to experience a vehicle than first-hand. As such, we invite you to visit us in-person today here at our conveniently located 129 Route 28Kingston, New York based new and used RAM dealership to take one of our many available RAM 2500 models out for a test-drive! Shopping from farther away? Not ready to make the trip out to our dealership just yet? You can easily browse our inventory online, get answers to your most common financing questions, and more, all from the comfort of your own home! Then, reach out to us when you have additional questions, either online, or by phone at (877) 556-6212. From all of us here at L.T. Begnal Motor Company, we look forward to further assisting you with all your RAM-related needs!